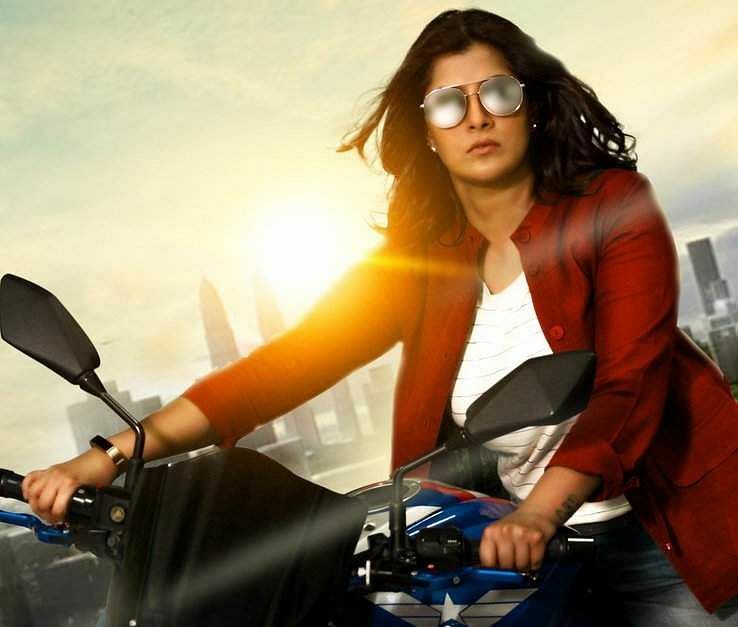 On the occasion of Tamil New Year, Varalaxmi Sarathkumar took to Twitter to share the first look poster from her upcoming film, which has been titled Chasing. She also conveyed her Tamil New Year wishes on behalf of the team, which is filming the first schedule in Malaysia. The action thriller is written and directed by K Veera Kumar. Produced by T Balachandaran and Mathialagan Muniandy, Chasing has cinematography by Krishna Swamy, and music by Thashi. Though the makers are yet to divulge any other information about the film, a source close to the unit says that Varu will be playing a biker. The actor is seen sporting a red blazer and a pair of aviator sunglasses, while riding a blue bike, in the poster. Varalaxmi, meanwhile, continues to be one of the busiest actors around. She has projects like Velvet Nagaram, Kaateri, Neeya 2, Kanni Theevu, Danny, and Kanni Raasi, in different stages of production.